There is simply nothing I can write here that can express how I feel right now. For years, Nuyoricans (as well as others in the Diaspora) struggled with what we can do to help with any of the issues facing the island. There has always been the distinction of those on la isla… and those “que estan afuera”, you know the outsiders. The fiscal, humanitarian and environmental crisis the island has shifted that sentiment, with more Boricuas making their way to the mainland to start new lives and seek new opportunities. There has also been an increase of focus on lending meaningful assistance to those on the island that to some extent remain voiceless in Washington. Boricuas on the mainland are making moves to battle all of Puerto Rico’s threats including PROMESA, ash dumping in Peñuelas, the incinerator in Arecibo, the flooding of Caño Martin Peña and the liberation of Oscar Lopez Rivera. 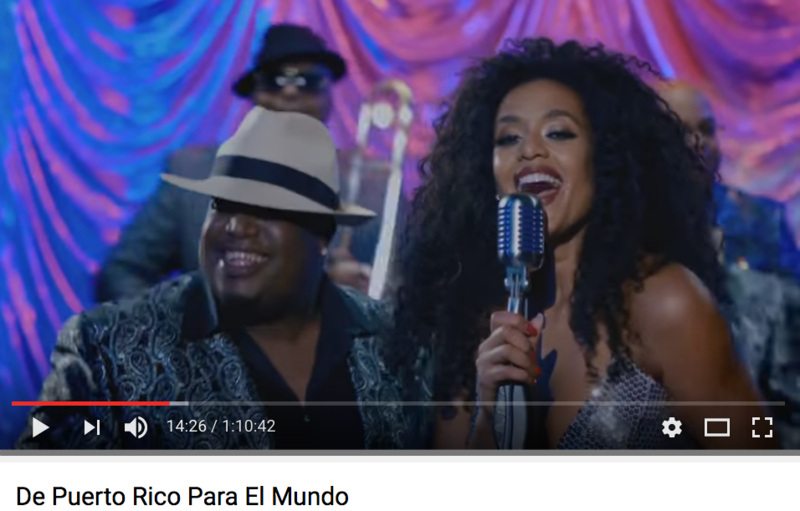 My friend Gemarla send me the link to the latest Banco Popular Holiday Special – De Puerto Rico Pa’l Mundo and was overwhelmed by happiness. We had just returned from a trip to PR Bloggercon where we spent days discussing how life is for us that no longer live on the island. It is not easy loving something so dearly and not know how you can help. I say all this to say, I think it is beautiful to see such a beautiful project highlighting the legacy of the Diasporicans… it literally brings me to tears to see such powerful visuals to highlight a narrative that I am a part of. Anything else I say right now id depriving you from experiencing this beautiful Holiday special… please watch this as a family over the holiday season and discuss your family history with the kids. This is the time to let them know who we are. Big shout out to all my personal friends that were part of this project… too many to name. After you watch… buy the DVD by visiting the official website. Read my latest post: Make The Most Of The Holiday Season With Frontier Communications! GRAB SOME COQUITO & WATCH THE VIDEO NOW!! !